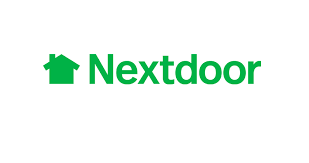 Scottsdale, AZ Management Fellow & ELGL Member, Rachel Hudgens interviews John Stumbaugh, Solid Waste Program representative about Scottsdale’s use of the Nextdoor platform . RH: When did the Solid Waste Department begin using the Nextdoor app? JS: The Solid Waste Department started using the app two years ago. RH: Why did the department decide to use the app? JS: Kelly Corsette [the City of Scottsdale’s Communication and Public Affairs Director] suggested that the Solid Waste Department use the platform to communicate with residents about topics specific to them and their neighborhoods. RH: How many residents interact or participate with the Solid Waste Department’s posts? JS: There are more than 50,000 people registered on Nextdoor in Scottsdale, representing about 25 percent of city households. Solid Waste posts potentially reach all those people. A recent “Waste Trivia Wednesday” post generated 623 votes and 10,000 views. When the answer was posted later in the day, 12 people commented on the post, and 13,000 people looked at the answer. These results are typical for posts of similar content. RH:Has the way you used the app changed over time? JS: The City of Scottsdale Solid Waste Department uses the Nextdoor app to send general information to its approximately 50,000 users but also takes advantage of the app’s neighborhood feature to keep residents updated on more specific information (such as brush and bulk pick up schedules). The Solid Waste Department recently started to incorporate “Waste Trivia Wednesday” after being inspired by the City of Austin. RH: How do city departments make a Nextdoor account? JS: Scottsdale’s Office of Communication oversees the city’s Nextdoor accounts to ensure a consistent approach. Initial rollout included half-a-dozen different city accounts, additional accounts are setup through the Office of Communication. RH: Do you have any tips or lessons learned that would be helpful for a department trying Nextdoor for the first time? JS: I spend about 10 hours a week on the Nextdoor (both passively and actively). Wednesdays are the busiest days because that’s when we post the trivia question and responses. The rest of the week I send out service notifications and field questions from residents. If adopting the trivia function on Nextdoor, be sure to post the answer 6-7 hours after posting the original question to ensure that users stay engaged in the conversation. Be sure to include the original question asked when responding with the trivia answer—this insures that people receive accurate information that is in the proper context and helps reduce confusion. Respond to resident questions regarding the trivia/poll. When responding, give appropriate information but avoid any biased answers. Because users on Nextdoor do not “opt-in” to agency accounts, cities should be careful not to post too much. Users view the platform as a tool for neighborhood conversations – and the city is not always welcome there. Using a thoughtful and reasonable posting strategy helps mitigate this. RH: What has the overall response been from residents using the app? JS: The response has been very positive. Some users can be particularly critical when it comes to grammar and typos. Other users occasionally use the platform to voice discontent if services are delayed. Negative behavior is minimized by the platform’s user-policing function. The Nextdoor app relies on users to moderate the discussions on the app so harassment is typically butted out. RH: Have you seen any behavior change or change in the recycling contamination rate since utilizing Nextdoor? JS: The Solid Waste Department cannot contribute behavior changes to the use of the Nextdoor app because it is only one of many educational tools they use to engage with residents. This app however, allows the department to reach more residents than they would typically through traditional in-person techniques. RH: Is there anything else you would like to add? JS: I was apprehensive about using the Nextdoor app at first but I am happy that we did and surprised by the response from residents.